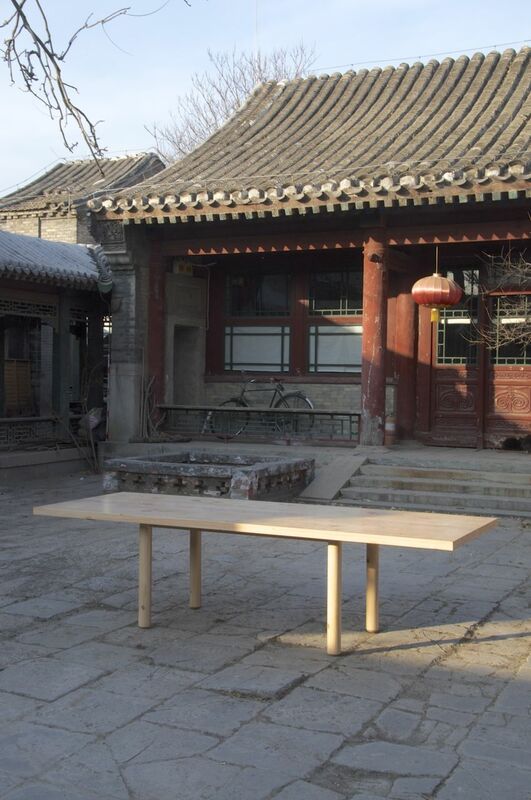 The table EastWest echoes the architecture within which it will stand; one of Beijing's best preserved Qing dynasty courtyard houses in Heizhima hutong, just North of the IFP Studio. The name is also a reference to a book When East Meets West by Werner Blaser which draws parallels between the work of modernist Ludwig Mies van der Rohe and traditional Japanese wood architecture. 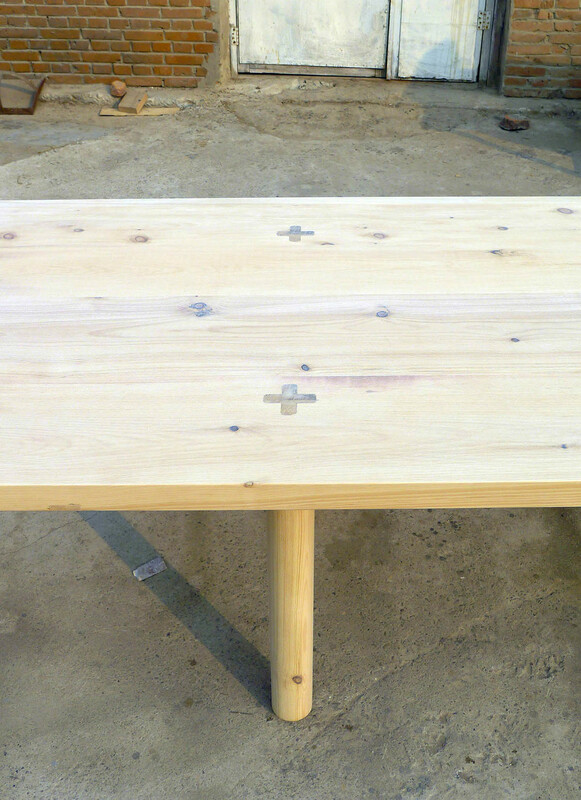 The table is made in pinewood, also frequently used in Japanese furniture, which is treated with wood oil and white pigment to keep the wood from turning yellow with time. The legs protrude the table top in the shape of crosses, which helps increase the contact surface between the top and the legs, as well as referencing Mies frequent use of the cross in building elements.